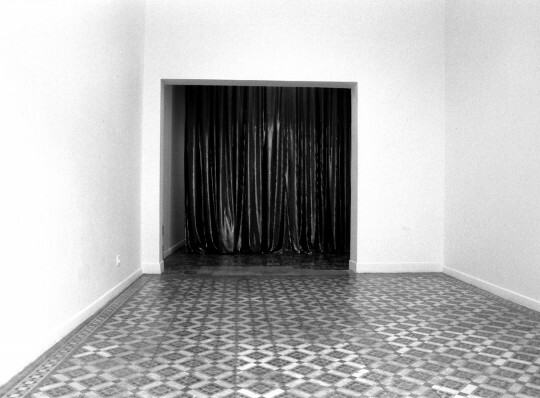 The ongoing photographic series “Counter work” refers to another continuous work by Charlotte Moth, the installation “Behind every surface there is a mystery: A hand that might emerge, an image that might be kindled, or a structure that reveals its image” (quoting Alighiero e Boetti). 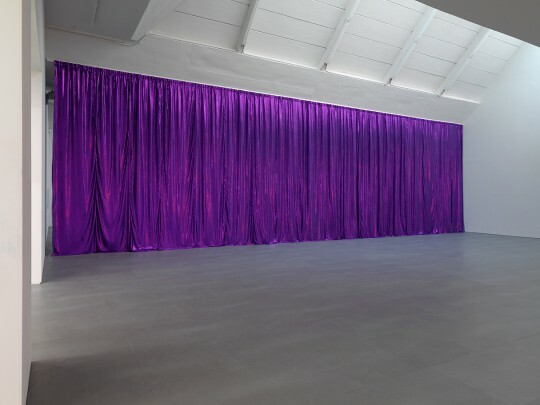 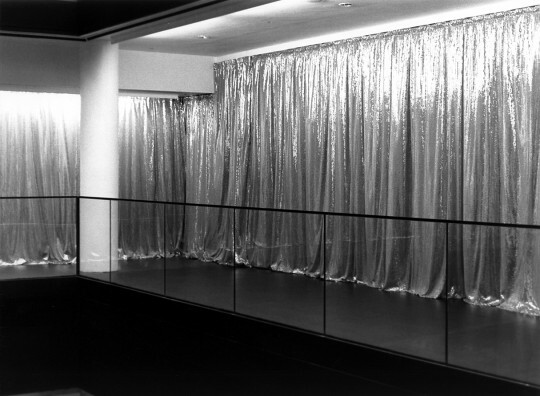 “Behind every surface” consists of different versions of a monochrome curtain, fabric and sequin, partly obstructing and redefining their respective exhibition spaces, invoking an empty stage setup. 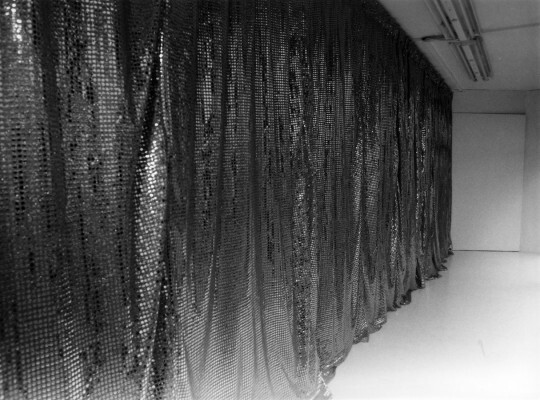 In these installations Moth speaks to the shifts of meaning that sites and social spaces undergo depending on their design and use. 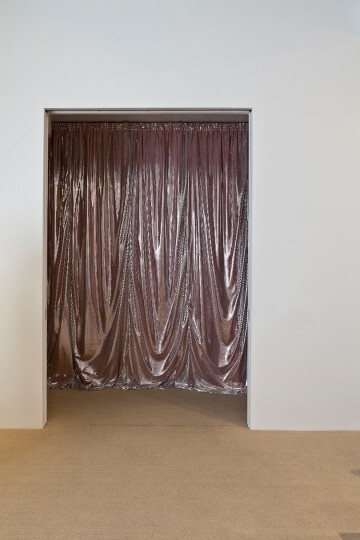 “Photographing this work creates a new work, a work, that is “counter”, or against the original experience of the curtain as a sculptural work. 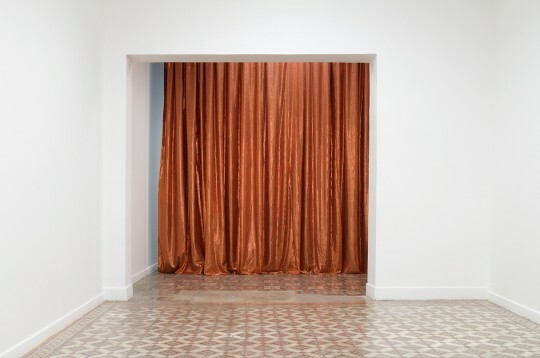 The images created slowly reveal an accumulation of the curtain’s previous lives and a changing typology of spaces in which the curtain is installed.” The “life of the curtain” can be traced back to a photographic origin again, adding another conceptual twist to Moth’s practice. 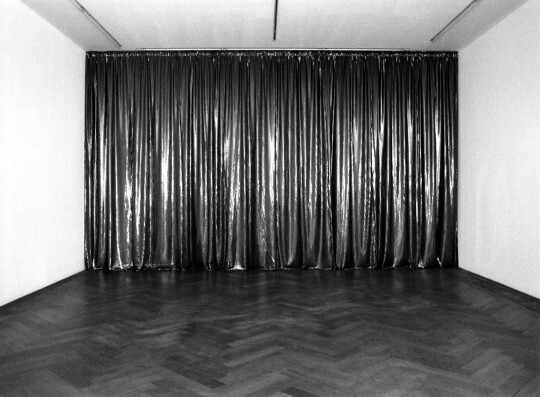 An image from her photographic archive “Travelogue” (1999-ongoing) depicts reflections of sunlight on water and serves as a visual connection to the glistening fabric of the curtain, pointing again at the instability of references and the variety of their possible connotations.